This very high quality and durable lean-to planthouse comes complete with twin front opening doors, roof window and vent. 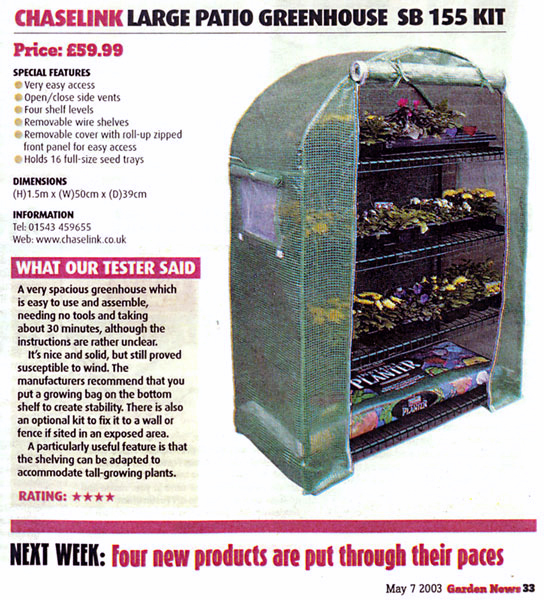 A spray bottle and 9 quality seed trays that can be placed over four levels including ground - are also included within the package. 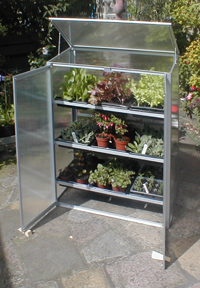 The flexible shelving system can be moved to accommodate full shelf use or half shelf use for larger or taller plants. Twin skin poly carbonate panels are used throughout, including back section. Constructed using aluminium fixing sections. Width 75cm x Depth 40cm x 100cm High.